"The first meal of the year is the most important" saids Gordana, "it will determine the rest of your year, you must eat well." And did we ever! 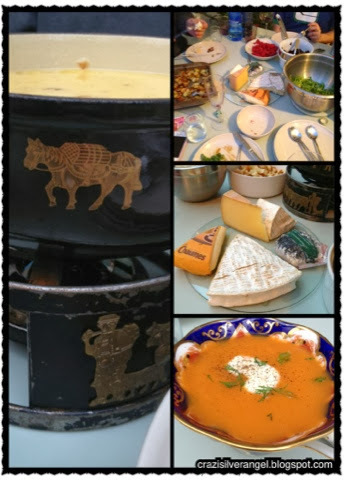 This year a few of the guest were sick =( that's too bad because this means more home made fondue for all of us! We ate from 1230? Till 7pm. Sometimes I feel so lucky to by chance met Gordana and her family, even more lucky to be invited for dinner... I just wish there is some way I could show? Give? More gratitude. I can imagine my life would be quite bleak without them.